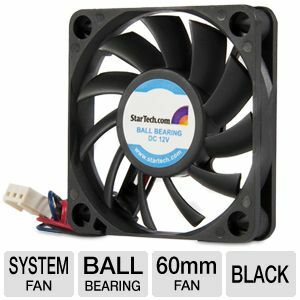 Add additional chassis cooling with a 60mm ball bearing fan. 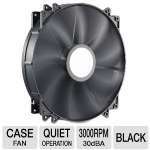 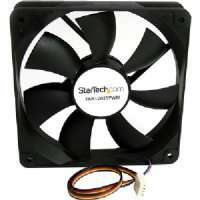 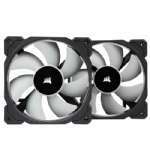 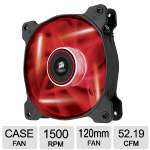 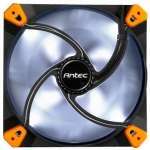 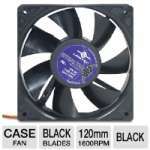 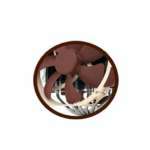 This versatile 60mm fan is an ideal replacement fan for keeping your computer running cool. 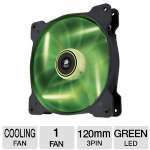 The fan can be powered through a TX3 connection, and features a dual ball bearing design that ensures reliable cooling and longer fan lifespan. 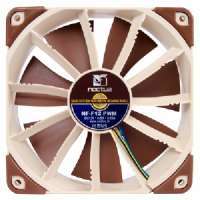 The fan can be used to replace the fan component of some CPU coolers or mounted to the side panel of a computer case and features a tachometer pin on the TX3 motherboard connector that provides the host system with fan operating status information.